For Dave Bitcoin, the alias of the software architect that hacks people’s cryptocurrrency passwords, the price surge of Ethereum’s blockchain token ether has generated a significant amount of work; work that wouldn’t have been steered his way without his focus on developing trust. And just to be clear, Dave Bitcoin hacks people’s passwords with their permission. He runs the website Wallet Recovery Services, which recovers people’s lost or forgotten passwords by brute force decryption – that is, using a computer program to try millions of passwords in a short amount of time. He provides the service for bitcoin, litecoin and most other alternative cryptocurrency wallets, and in December, he began decrypting Ethereum pre-sale wallets. “I love a challenge,” said Dave Bitcoin, who’s pseudonym remains from the days when it was unclear if cryptocurrency was legal. Dave Bitcoin has worked with more than 1,000 people since he launched the service, most in need of password recovery but a few that wanted deleted wallet files recovered. His success rate is about 30%, but it’s a rate that varies drastically based on how much information a client gives. Since January, Dave Bitcoin’s Ethereum business has exploded, coinciding with the 1000% price increase. Today, about 50% of his business is decrypting Ethereum wallets, 40% is bitcoin related and the remaining 10% is recovering altcoin wallets, like litecoin or dogecoin. Dave Bitcoin charges 20% of the amount in the wallet, which is a risk since typically he doesn’t know how much is in the wallet before he decrypts it. “I try to help everyone, even if the money involved in the wallets doesn’t really make financial sense,” Dave Bitcoin said. This emphasis on customer service is necessary because he’s trying to build a trusted offering with a service that’s a bit intimidating. To start, consumers must hand over what they think their password could be. Since many consumers use the same or variations of the same password for multiple accounts, this can be worrisome. But after Dave unlocks a wallet and takes his cut, he sends an email explaining to clients that they should change or stop using any of the passwords they disclosed to him. The software Dave uses is configurable but if the password is particularly unusual, a custom code is needed on a per-client basis to decrypt. 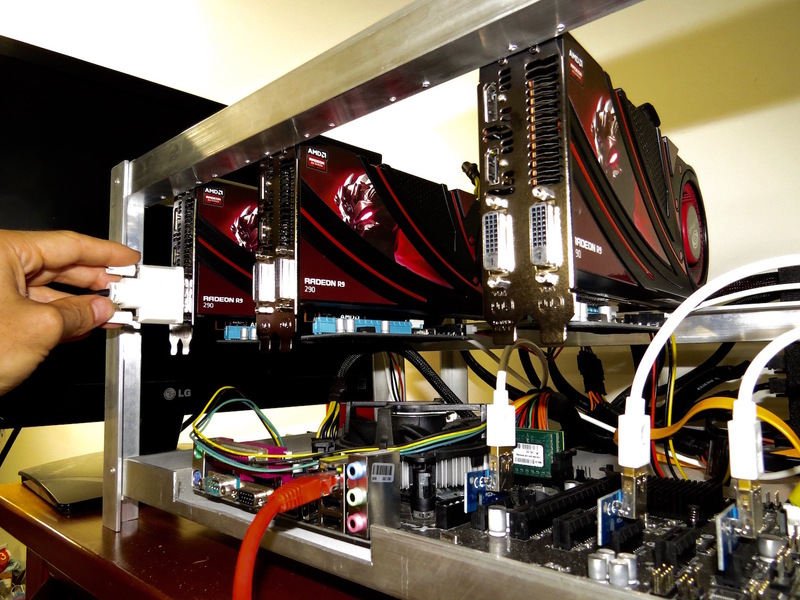 Dave Bitcoin’s software runs on high-performance computers, generally Amazon Web Services (AWS) computers. Each computer node pulls a subset of the password candidates from a high-speed online database and processes them, executing the appropriate cryptographic primitive operations to examine the candidate passwords to determine the correct password. Dave uses both Linux and Windows nodes on AWS. 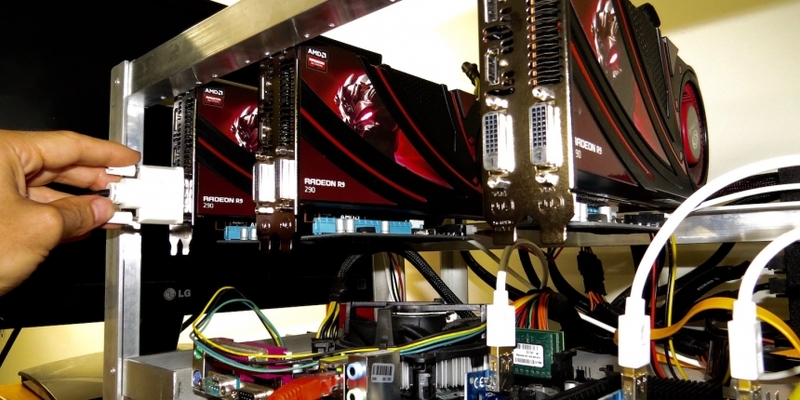 The software is also capable of using GPU cards for more common wallet types like those offered by Bitcoin Core, speeding up the recovery process. With several of his coded algorithms, the software can perform millions of decryption attempts per second. “It is a fun process, and nothing is more enjoyable than helping someone recover their bitcoins or ether or altcoins,” Dave said, but the financial reward hasn’t been enough for him to give up his day job as a software architect. After some research, Wallet Recovery Services seems the only offering for cryptocurrency recovery services. Perhaps due to a lack of other options, Dave Bitcoin has built up trust over the past several years. Stephanie Murphy, the host of the podcast “Let’s Talk Bitcoin” and Ludvig Oberg, co-founder of Swedish bitcoin exchange, Safello have used the service. And bitcoin wallet provider Blockchain redirects their clients looking for password recovery to Dave Bitcoin. This hits at a core hurdle for bitcoin and other cryptocurrency startups interfacing with consumer’s money. There have been numerous bitcoin companies, for instance Mt Gox, that have failed, taking consumer’s money with them, and other businesses that turned out to be scam operations running away with the money invested by customers. This has brought the heat from the Consumer Finance Protection Bureau (CFPB) onto the industry. The CFPB has been increasing oversight on bitcoin services for several years, issuing an advisory on the risks possed by virtual currency in August 2014. One of the risks mentioned is the absence of private key or password recovery options. But educational organization Consumer’s Research has actually advocated for bitcoin in this regard, saying bitcoin could boost consumer protections because the protocol makes it possible for people to take security into their own hands instead of relying on third parties. But it will be a challenge getting consumers to switch over to more accountable systems when they’re used to insurance and other protections.